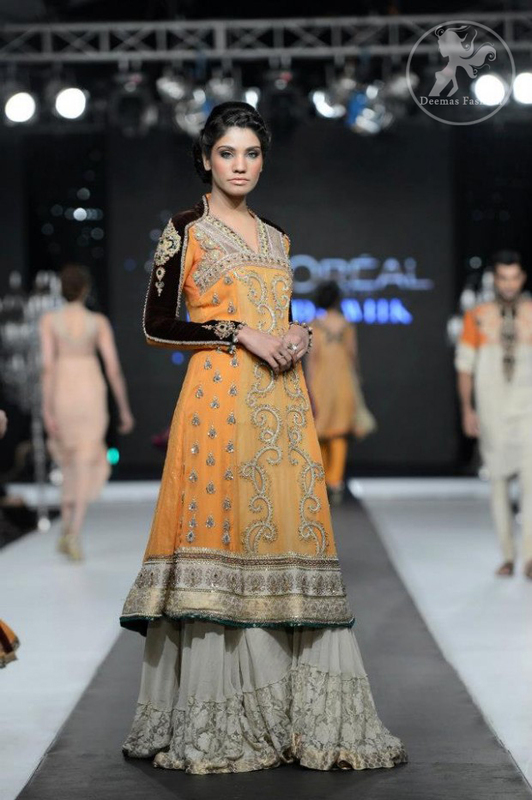 Tags: A-line, Mehndi Mayon Henna, Orange, Sharara, Yellow. Orange A-line frock has been adorned with ornamental sequence and floral motifs. Embroidery on hemline and velvet sleeves. Fully lined. Concealed with back zip closer. Gray pure chiffon and net sharara.